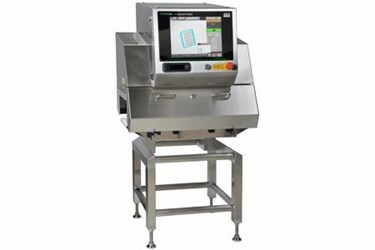 The precision-engineered, high-sensitivity XR75 series is the latest in advanced inspection and detection systems that set the standard for improving product quality and safety. Recognizing both the short-term and long-term needs of today’s processors and manufacturers, engineers designed the XR75 Inspection System to provide excellent sensitivity at lower energy levels for extended life cycles and a reduced total true cost of ownership. XR75 incorporates A.L.L new technology for critical system components – long life, low power components were implemented including the X-Ray tube/generator and detector. Sanitary design was improved with angled surfaces for water run-off, removable curtains for easy cleaning and tool-less belt removal. When it comes to accuracy and reliability in food safety inspection, the XR75 series is the cream of the crop. It efficiently performs food inspection for all products at lower energy levels, resulting in a reduced true cost of ownership. MORE FROM Anritsu Infivis Inc.